Krystal and Kevin have been in a long distance relationship for one and a half years and now they are finally together as husband and wife. The ceremony over looked the marsh and had a beautiful tree that canopied over the seating. During the ceremony Kevin asked Krystal’s two daughters to join them up front so he could read his vows to them. This brought everyone to tears as they hugged him and wouldn’t let him go. 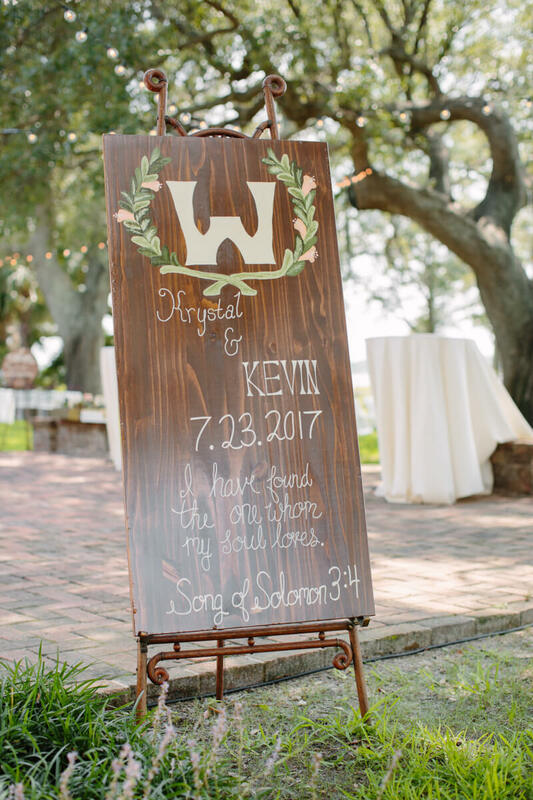 After Krystal and Kevin said their vows to each other and said I do they celebrated with friends and family over a sit down meal, dancing, corn hole, and with giant jinga blocks. The nights always go faster than you would like, and before they knew it, it was time to depart. After a night of laughter and games the couple danced down a line of sparklers before leaving to start their new lives together.